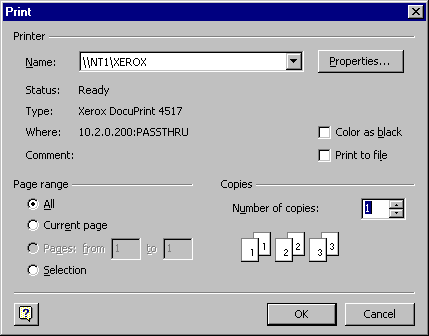 This is the default Visio print dialog, and behaves as a standard Windows print dialog. Note that each open model corresponds to a single page. Printing all pages when more than one model is open will print all models. To be sure that only the currently displayed model is printed, select the Current page option before printing.